Think. What if the gadget pouched in your packet could be the robustest tool to achieve what you covet ! And all you need is the installation of a mere 8 MB app. Yeah. You read that right. 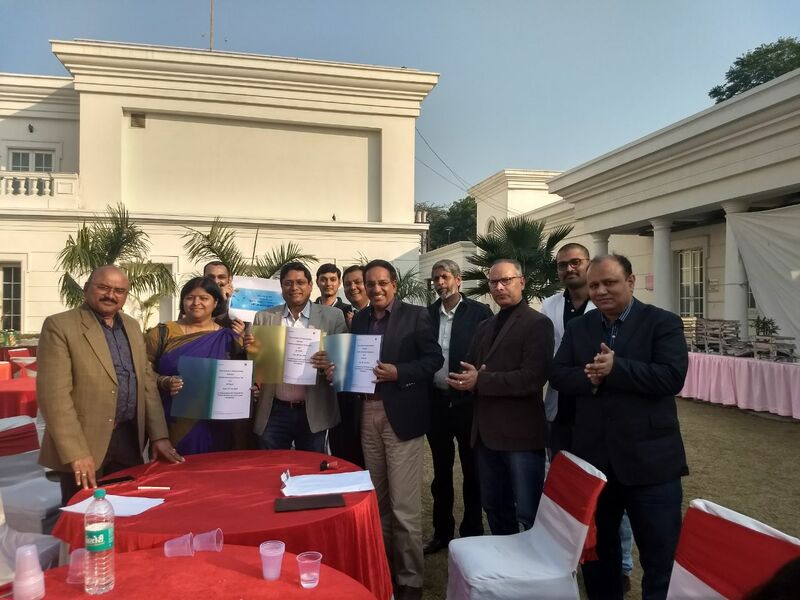 The Memorandum of Understanding is signed on 14th January, 2017 by and between BIT Sindri , Dhanbad and Perfectice Eduventure Private Limited , hereby referred as MyPerfectice . 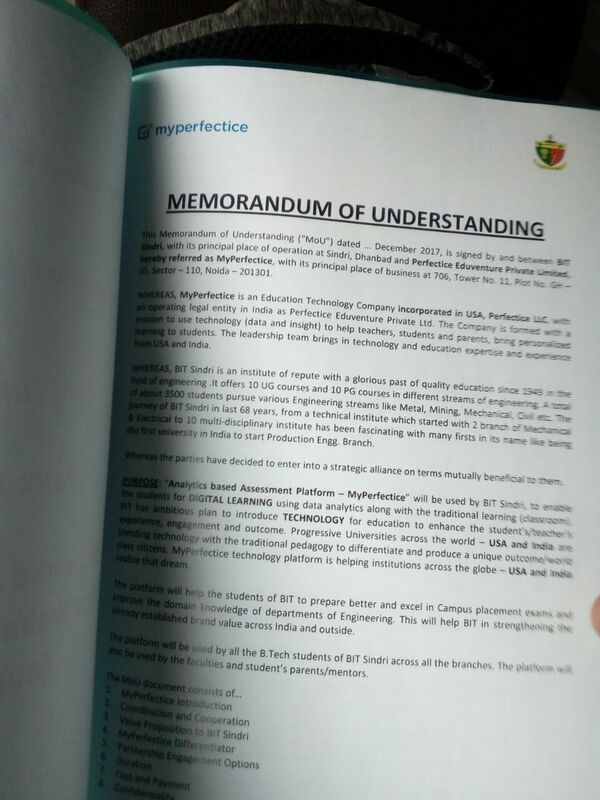 MyPerfectice is an Education Technology company incorporated in USA, Perfectice LLC, with an operation legal entity in India as Perfectice Eduventure Private Limited . MyPerfectice is an Analytics based Personalized Learning Platform to enable the students for DIGITAL LEARNING using DATA ANALYTICS and INSIGHT, along with classroom learning. Every student is different – their speed of learning is different, their interests and aspirations are different, their strengths and weaknesses are different. Personalized learning is the need of the hour and through this partnership, BIT Sindri and MyPerfectice, emphasis is on providing a technology platform to help one student at a time – develop and enhance their skills so that they become well cognizant to employment sector and also pursue other opportunities after graduation like higher studies – GATE, Study Abroad, CAT, IES, UPSC etc. MyPerfectice offers virtually unlimited full-length practice exams drawn from a vast database of sample questions. Comparative Analysis – It is all about competition and knowing where you stand in the crowd. Every minute you spend on the platform helps to doctor up your performance. Perfectice provides ranking in each test among all the candidates taking the test. MyPerfectice allows you to study anywhere, anytime, right away on your own gadget. One can view detailed answer rationales, and review one’s results with just a few taps. You’re Careless – Did you miss questions because you didn’t read carefully? If so, you need to practice and drill. You’re Crunched – Did you miss questions because you ran out of time? If so, you need to work on pacing. You’re Clueless – Did you miss questions because you had no idea how to answer? If so, you need to focus on a content review. MyPerfectice aims to bring students, parents, mentors, teachers, schools and publishers onto a single platform. Students – Connect with quality questions and local mentors for your testing journey. Parents/Mentors – Evaluate your child’s testing progress and mentor them to success. Teachers – Publish your test questions in a secure environment. Receive analytics on how often your questions are used. Publishers – Sell the latest versions of your test questions. Forums – Create study groups to discuss questions and share approaches. Social Sites – Share your testing results with friends on Facebook and Twitter. Test Reviews – Students share opinions on specific practice questions. The purpose is to develop a ranking of the best practice questions that have been published. The platform will aid the students of BIT to prepare better and excel in Campus Placement exams and improve the domain knowledge of departments of engineering. 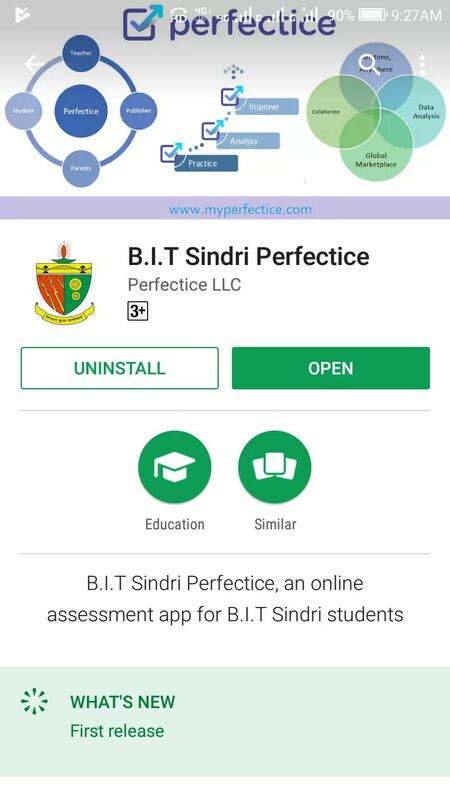 On 16th of January, a dedicated online learning app of BIT Sindri is launched on Google playstore to mind the gorge between students and digital learning, and thus ushered a step closer to the goal of creating personalized learning experience to BITian. B. Tech students of BIT Sindri across all the branches can avail the perks of this platform free of cost. The cost is borne by B.I.T. Sindri 87-91 Student Welfare Trust and Prayaas Foundation. This will certainly help the institute in strengthening the already established brand value across India as well as outside .